Brighton, United Kingdom -Liverpool bounced back from two consecutive defeats to remain on course for a first league title in 29 years, but were made to wait before breaking down an obdurate Brighton thanks to Mohamed Salah's 50th-minute penalty in a 1-0 win on Saturday. Victory reestablished Jurgen Klopp´s side´s seven-point lead over Manchester City at the top of the table, which was reduced to four when the champions inflicted Liverpool´s only Premier League defeat of the campaign to breathe new life into the title race nine days ago. Liverpool were far from their fluent best on England´s south coast, but ground out a vital win to settle any nerves caused by that defeat thanks to a 13th clean sheet in 22 league games this season. Klopp made wholesale changes for Monday´s FA Cup elimination to Wolves to underline his priorities for this season and he recalled a host of first-team regulars, including Salah. 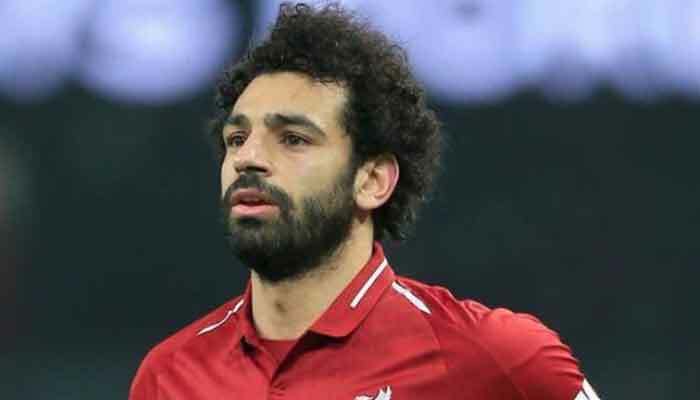 However, the Egyptian and the rest of Liverpool´s forward line were starved of service before the break as Brighton sat deep and the visitors dominated possession without any cutting edge. Roberto Firmino just failed to reach a dangerous Andy Robertson cross, while Xherdan Shaqiri nodded inches wide. But neither side managed a single shot on target in the first half as Glenn Murray headed Albion´s best chance over the bar. Salah immediately signalled a change in Liverpool´s intent after half-time as his powerful shot at the end of a purposeful run was well saved by David Button. Brighton, though, were architects of their own downfall moments later. Salah was given too much room inside the area to turn and Pascal Gross then hauled down last season´s Premier League player of the year. Salah stepped up to blast the penalty past Button and move level with Pierre-Emerick Aubameyang and Harry Kane as the league´s top-scorer on 14 goals for the season. One moment of madness from Gross undid Chris Hughton´s gameplan to defend and frustrate the league leaders. Yet, the German midfielder had a chance to make amends almost immediately with Brighton´s best opportunity to level, but his shot was bravely blocked by Fabinho. From then on Liverpool looked more likely to add to their lead than concede as Firmino´s fierce strike from outside the box was placed too close to Button before Georginio Wijnaldum and Sadio Mane fired wide. Salah passed up a glorious chance two minutes from time when he turned James Milner´s driven cross wide from point-blank range.